Roatan has a reputation for being one of the best (if not the best) Scuba diving destinations in the Caribbean. The tourist came to Roatan from all over the world, and they come in large numbers all year round to dive. The Daniel Johnson Monkey & Sloth Hangout has grown into a favorite animal excursion for travelers to Roatan. The Sloth is the main attraction. Roatan's Sloth tours makes for a great photo opportunity. iSOAR ROATAN is a sailboat which is moored in the sheltered waters of Half-moon Bay, Roatan. The sailboat has been retrofitted with dive platforms, rope swings, and rock climbing footholds. Take a private sailing charter Tour, designed to allow discerning customers to experience the vibrant, dynamic, and another side of life on the lush island of Roatan. 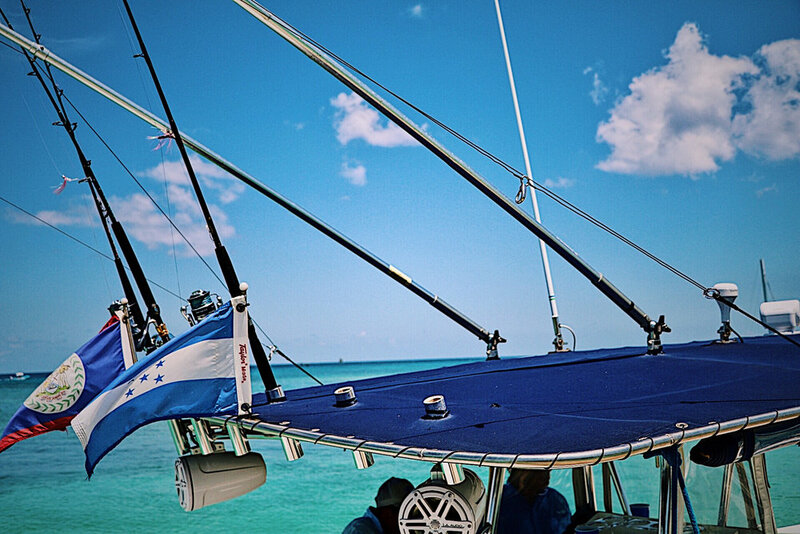 Fishing in Roatan is arguably the oldest industry in Roatan. There are world class fishing charters & anglers in Roatan, but It is not uncommon to find local fishermen just a few yards away from the shoreline fishing on a string. Many local fishers take out wooden canoes carved out of tree trunks. Armed with only fishing string, hooks, and bait, fishers lower fishing string down with live bait and begin pulling at the string to lure in the fish. As soon as a fish bit, a tug of way ensues, and the reeling in is done by hand. Fish are pulled in by hand the old fashion way. Little French Key (LFK) has been voted a top attraction in all of Honduras. Once a private island retreat, Little French Key is now available for everyone to enjoy. Play in crystal clear water and enjoy the coral reef. Sunbathe on diamond white beaches. Enjoy a cold cocktail at the swim up bar, or savor a delicious assortment of island delights in one of our three open-air restaurants. West End, Roatan offers some of the best shopping on Roatan. West End is a long-standing village on the northwest side of Roatan. Among other things, West End is home to Roatan's nightlife, restaurants, dive shops. Sign up with your email address to receive special updates and promotional discounts. Discounts are only made available exclusively via our newsletter. Thank you for choosing Roatan Tours. We respect your privacy and will not share, sell, or make your email available to anyone else. We will also not SPAM your inbox.